ELKHART – The Elkhart Invitational Texas High School Women’s Powerlifting Association Meet was held in Elkhart on Saturday, Jan. 13 and several of the area lifters fared very well in the first meet of 2018. There were 76 lifters from 11 area schools. The schools represented at the meet included: Buffalo; Cayuga; Center; Elkhart; Frankston; Grapeland; Malakoff; Mount Enterprise; Rusk; Trinity; and Westwood. The team from Elkhart powered their way to first place with a total of 48 points with three first place lifters, three second place and four third place lifters. The meet was scored based on a combination of bench press, dead lift and squat. Seven points were awarded for first place, five points for second three points for third, two points for fourth and one point for fifth. The Trinity Lady Tigers finished in second place with 39 points while the Malakoff Lady Tigers were third with 37. The Rusk Lady Eagles were fourth with 20, the Center Lady Rough Riders were fifth with 15, the Grapeland Sandiettes were sixth with 12, the Frankston Maidens were seventh with 10, the Frankston Maidens were eighth with seven, the Mount Enterprise Lady Wildcats were eighth, the Cayuga Lady Wildcats were ninth with six points, the Westwood Lady Panthers were 10th with five points and the Buffalo Lady Bison were 11th with one. In the 105 pound class, Elkhart Lady Elk Karson Pardue finished first with a total of 565 pounds lifted. She recorded lifts of 225 pounds in the squat, 115 on the bench and 225 in the dead lift. Trinity’s Adelina Caceres finished second with a total lift of 555 pounds while Elkhart’s Alissa Talley finished third with a total of 530 pounds lifted. In the 114 pound class, Trinity Lady Tiger Nayeli Davalos finished first with a total of 590 pounds lifted. She recorded lifts of 235 pounds in the squat, 115 on the bench and 240 in the dead lift. Center’s Elizabeth Chavez finished second with a total lift of 555. Elkhart’s Annalisa Trevino was third with a total of 550 pounds. Grapeland’s Haylee Reed finished sixth with a total of 460 pounds lifted while Westwood’s Emilee Young (345 lbs. lifted) and Hailey Jiminez (330 lbs. lifted) were ninth and 10th. In the 123 pound class, Mount Enterprise’s Jaelen Linville finished first with a total of 670 pounds lifted. She recorded lifts of 250 pounds in the squat, 170 on the bench and 250 in the dead lift. Center’s Sydney Jo Sears was second with a total of 565 pounds lifted, Elkhart’s Kayla Moore was third with 515, Lady Elk Hunter Gilmore was fourth with a total lift of 455 and Grapeland’s Makayla Smith was fifth with 295 pounds lifted. In the 148 pound class, Malakoff Lady Tiger Shaylea Boles finished first with a total lift of 740 pounds. She recorded lifts of 290 pounds in the squat, 165 on the bench and 285 in the dead lift. Elkhart Lady Elk Breanna Warner finished sixth with a total of 530 pounds lifted. Grapeland’s Cheyenne Bowman finished seventh with a total of 450 pounds lifted and Westwood’s Melissa Springer was eighth with a total of 395 pounds. In the 165 pound class, Trinity Lady Tiger Kyndall Hill finished first with a total of 750 pounds lifted. She recorded lifts of 275 pounds in the squat, 150 on the bench and 325 in the dead lift. Elkhart’s Karime Vazquez finished second with a total of 465 pounds lifted and Grapeland’s Amy Crook was third with a total of 460. Westwood’s Leslie Anderson was fifth with a total lift of 435, Elkhart’s Ally Currie was fifth with a total lift of 395 and Westwood’s Rachael Villareal was sixth with a total of 370 pounds lifted. 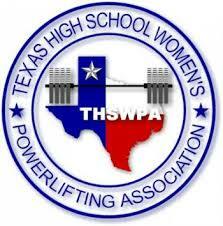 In the 181 pound class, Trinity Lady Tiger Kelli Ramey finished first with a total of 665 pounds lifted. She recorded lifts of 295 pounds in the squat, 135 on the bench and 235 in the dead lift. Frankston’s Catelin Jones finished second with a total of 640 pounds lifted, Frankston’s Novalie Davenport was third with 595 pounds lifted, Westwood’s Emily Chavez (465) and Paris Sandifer (415) were fourth and fifth while Grapeland’s Stacy Perez was sixth with a total lift of 400 pounds. In the 198 pound class, Rusk Lady Eagle Jaeda Garrett finished first with a total of 875 pounds lifted. She recorded lifts of 335 pounds in the squat, 170 on the bench and 370 in the dead lift. In the 220 pound class, Elkhart Lady Elk Harleigh McEnturff finished first with a total of 925 pounds lifted. She recorded lifts of 365 pounds in the squat, 200 on the bench and 360 in the dead lift. Trinity’s Beatriz Costilla finished second with a total of 850 pounds lifted, Cayuga’s Amber Karnes was third with a total of 710 pounds lifted and Grapeland’s Victoria Lane was fourth with 350 pounds lifted. In the 259 pound class, Malakoff Lady Tiger Madison Wilbanks finished first with a total of 1020 pounds lifted. She recorded lifts of 440 pounds in the squat, 230 on the bench and 350 in the dead lift. Elkhart’s Tawny Anderson finished second with a total of 690 pounds lifted, Cayuga’s Bryanna Stotts was third with a lift of 635, Frankston’s Destiny Toye was fourth with 635 pounds lifted and Grapeland’s Alyssa Dilli was fifth with 525 pounds lifted. In the 259+ class, Malakoff Lady Tiger Emily Rodriguez finished first with a total of 680 pounds lifted. She recorded lifts of 275 pounds in the squat, 125 on the bench and 280 in the dead lift. Elkhart’s Natalie Defore finished second with a total of 675 pounds lifted, While Grapeland’s Arionna Davis was third with a total lift of 525 and teammate Macy Cutler was fourth with a total of 410 pounds lifted.